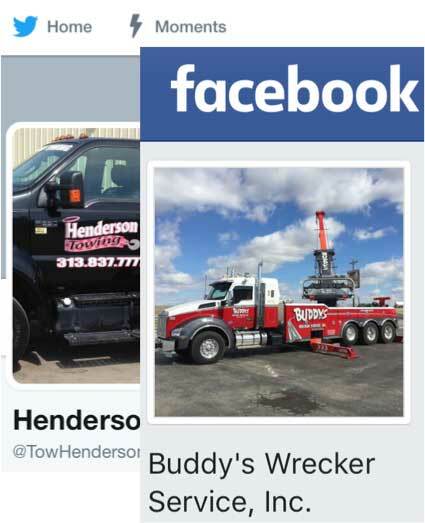 Web marketing tow companies like Lift Marketing Group can make it simple for your towing company to stay engaged with your customers with frequent, relevant social media posts and activity and with personal responses to your customer reviews. We work hard to stay at the top of the web marketing tow companies list. We were founded by a tower, we’re tenacious, and we have no contracts to keep us hungry for your business month after month. As you’d expect from web marketing tow companies, we will deliver your business a robust, ongoing presence on the major social media platforms that is interconnected and supportive of the rest of your online identity. We will create absent pages with your input and improve existing pages to maximize their effect. 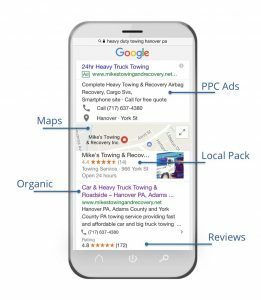 Our web marketing tow company team will generate keyword-rich content every week–on up to three platforms for your towing company. We’ll use a mixture of promotional, information, and community-oriented messages to create an active social media presence. Of course, you and your team can still post to these channels as time allows and events warrant. One items that sets us apart from other web marketing tow companies, we will respond to all of your customer reviews with a positive, professional, and consistent voice. We’ll actively send positive reviews to you with a personal shout out so you can celebrate and reward drivers, technicians, and dispatchers being recognized by your customers. 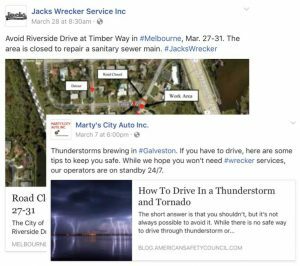 And since we’re one of the only web marketing towing companies founded by a former tower, our negative reviews will receive insightful, empathetic responses focused on attracting new customers, and unwanted reviews that don’t follow platform policies will be flagged for removal. Online Reputation Management. Prominence. Search Engine Optimization. Getting your positive messages to rank in Google search results can provide insurance against an exaggerated impound complaint or disgruntled former employee. Having a presence and being active where your customers live and feel comfortable can indicate to them your business is professional and more important than companies who are not there. And since Google, Yahoo and Bing have acknowledged they use social activity signals in their algorithms, social media provides ranking benefit–especially when your competitors aren’t doing it. Ready to experience our incredible service?